Here’s a little something to keep you going at work or for an at home snack! Though you may have to hide it from the kids! Also a great aid to digestion with the powerful combination of Yogurt and our New Zealand Manuka Honey Blend. 2-4 teaspoons New Zealand PRI Manuka Blend honey …dependent on how sweet your sweet tooth is! 1. In a small bowl, mix Greek yogurt, peanut butter, and New Zealand Manuka Blend honey. Stir until well combined/smooth. 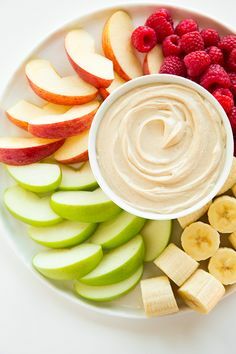 Serve with apple slices, other sliced fruit, or crunchy snack. Previous Bee Pollen – the New Zealand Superfood? Next New Zealand Honey tasting!